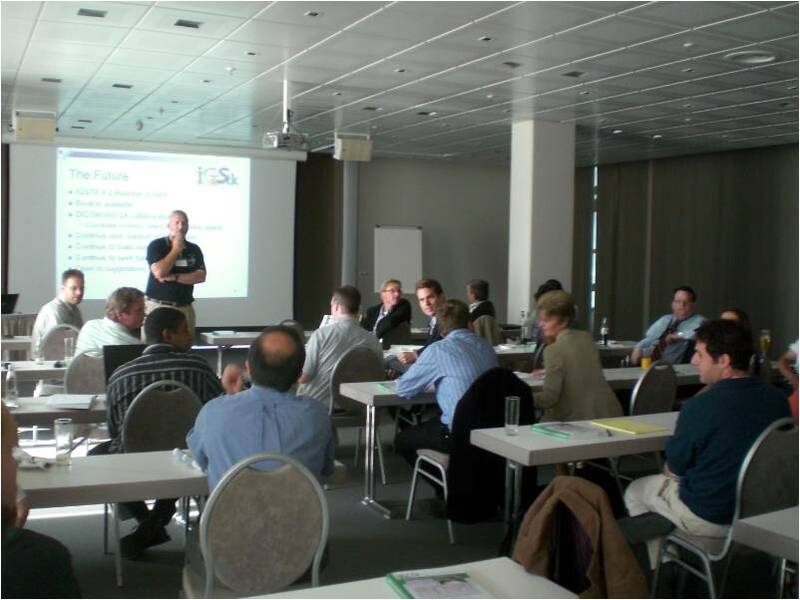 The IGSTK development team hosted a European User’s meeting at the Computer Assisted Radiology and Surgery conference in Berlin, Germany on June 23, 2009. The invitation only meeting drew 35 participants from 11 countries. The meeting started with a short introduction and update on new developments in the 4.2 release. At the end of the meeting, an application demonstration was presented by tracking device vendors NDI and Claron Technology. The demonstration exhibited an IGSTK-based needle biopsy application using their tracking device. For abstracts and presentation slides for this event, please visit the IGSTK Wiki and search for “European Users Meeting”. For more details on this and other User’s Group Meetings please visit: http://igstk.org/IGSTK/help/meetings.html.